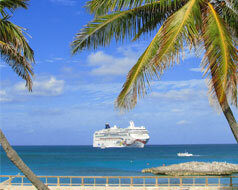 Are you planning a family cruise? See below for some of the most frequently asked cruise questions you should know the answer to before you book. A: As soon as possible! If you are booking a cruise for the holidays, book at least 9 months out! Cruises, especially on Disney, sell out fast. Be careful waiting for last-minute specials as the cabin category or desired location may be unavailable. A: Look, you’ve got a family to take care of. Book with a travel agent and let them take care of you! They know what to look for and can recommend the best cabin type, destination and more that will fit your family’s needs. Q: What cruise line should I book? A: Many cruise lines have a multitude of activities and programs for children of all ages to participate in. However, not all cruise lines are created equal, so check the cruise ship to know what is offered. Plus, consider what activities are onboard outside of the youth centers. Is there a water park onboard? Bowling Alley? Flow rider? Ask your travel agent what they recommend with the age groups in your family. The cruise experience can make or break the vacation, not just the destination, so choose what speaks to your family. Q: Can pregnant women cruise? A: Yes, pregnant women can cruise as long as they are under 24 weeks along in their pregnancy. Q: Can I bring my baby onboard? A: Depending on the cruise, many require that the child be older than 6 months. Q: Is everything included onboard? A: No! While many dining and entertainment experiences are included in the cruise price, specialty dining or drinks such as sodas and alcohol are often an additional price. At times, cruise lines offer special amenities or promotions. These promotions may include a free drink package or allow your kids to sail free. Make sure you know what is included on board your cruise ship so there are no surprises. A: Give yourself some wiggle room. That could mean flying in a day before the cruise departs or booking a flight that arrives early or late enough to leave room for potential mishaps along the way. Q: What shore excursions should I choose? A: Find out the length and cost, as well as what is included in the tour. Lack of food can greatly alter the mood of a child so see if there are refreshments provided or if you need to pack a bag just in case. See if there is a lot of walking involved and whether or not you will need a stroller. If your kids are older, have them help come up with ideas to do in port. Q: What should I do the first day onboard? A: Eat food, take a nap, tour the whole ship together and set ground rules. That way everyone is fed, cognizant, and you can get your bearings where everything is located.